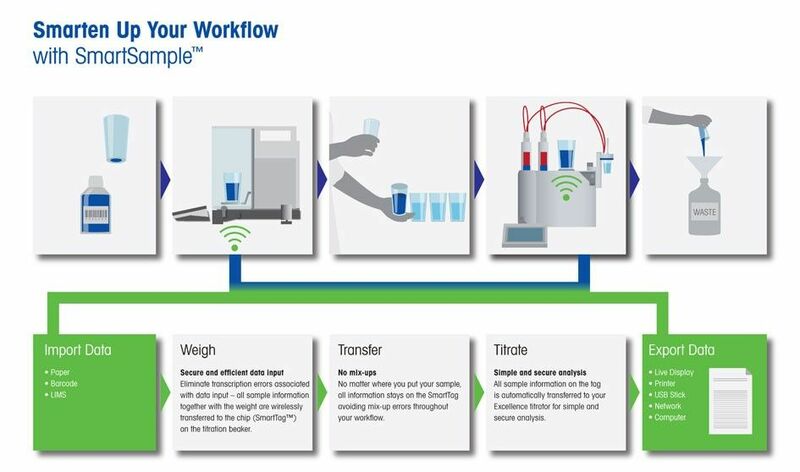 Utilizing the new SmartSample™ system for titration sample weighing not only optimizes workflows for efficiency, but also eliminates transcription and mixup errors. Download the "SmartSample Solution" application notes to learn more about the benefits and features of SmartSample and hear how SmartSample improved the processes used by Syngenta, a global agribusiness company, by optimizing their titration workflow. High through put testing labs have a lot to gain when a repetitive task is optimized. 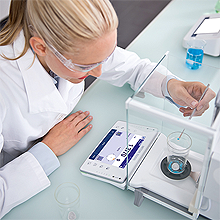 Using RFID technology, the SmartSample workflow allows the user to enter the sample’s identification (ID) and other variables at the new Excellence Analytical balance while weighing the sample for a titration. Once all the information is entered at the balance, including the physical sample weighed in the beaker, the balance programs the information to the SmartSample tag either directly on the beaker or in the beaker sleeve. The operator need not enter the information again at the titrator saving time for other tasks and higher productivity. With the physical sample in the beaker with the sample identification and weight programmed to the tag on the beaker, mix ups are avoided. 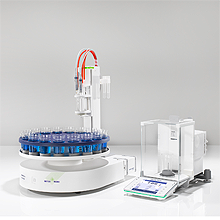 Sample IDs and weights cannot be confused while being entered at the titrator, nor can the sample be placed in the wrong position on the InMotion™ Autosampler. This eliminates retesting due to these errors and further optimizes the efficiency of a testing lab. 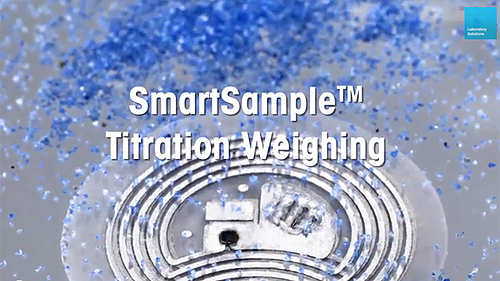 Whether you discard or wash and reuse your titration beakers, there is a solution for you. 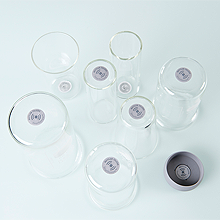 Either adhere the tag directly on any size of washed and rinsed beakers or use the exchangeable sleeve if you discard your 100 mL METTLER TOELDO polypropylene titration beakers or wash the 100 mL glass beakers at high temperatures. 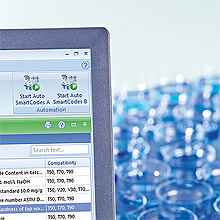 Further optimize your analysis by using LabX® SmartCodes to select which method to run on each sample. Either enter the method at the balance as an ID or have LabX select the appropriate method based off a string in one of your sample IDs. Load an entire sample rack with different samples to be analyzed by different methods and start the entire analysis with just One Click. LabX will automatically determine which method is to be run on each sample by reading the information and still collect all the sample information.